How many of you have or have thought about the idea of getting a tattoo? For those of you who have only considered the possibility, think about what has been holding you back from the commitment. I know for me, growing up, my parents had always told me, “Carly, you are absolutely never allowed to get a tattoo under any circumstances.”, and I’m sure many of you can relate to this. 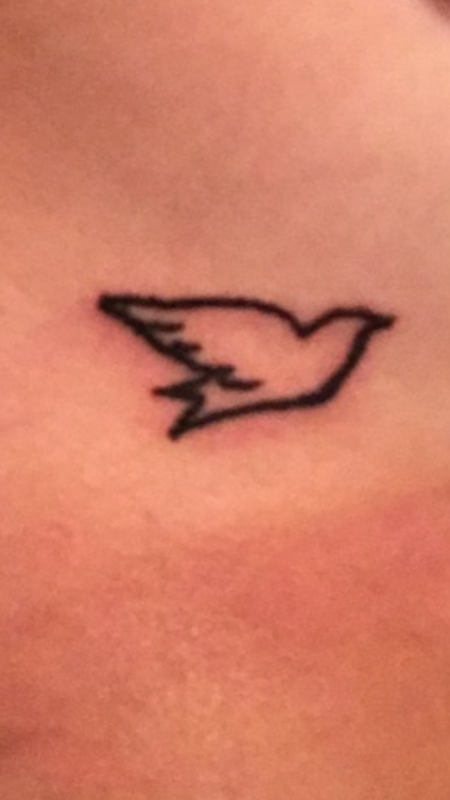 Next thing I know, I find myself in a tattoo parlor, a week before I leave for college, getting my first tattoo of a dove on my side, just above my left ribcage. At first you might think assume I did this out of spite of my parents or just due to pure teenage independence or rebellion, but the truth is it was a very special, personal thing I did for myself. My intention was never to upset my parents or spontaneously mark my body with permanent ink; I put a dove on my body as a reminder of my two favorite values: love and peace. I have always loved doves, and its symbolism has always been extremely meaningful to myself and my way of life. Tattoos are not merely acts of subversion or mischief, but they are most often extremely meaningful and symbolic, and this art form should be accepted and appreciated instead of criticized and banned. The act of permanently marking human bodies has been practiced across the globe since at least Neolithic times, and has been seen all throughout history and used for a variety of purposes. In ancient Egypt, most tattoos were found on women, indicating status. They were viewed as wealthy or and as an elegant form of beauty and art. Whereas, during World War II, Nazis tattooed numbers onto Jewish people to keep track of them and label them. They were a symbol and sign to differentiate one group of people from another. Tattoos have been used in various ways over time, but they are always permanent and almost always have a significance to them. It had soon become and still is a commonplace, especially in the United States, to associate tattoos with things like crime, rebellion, and vanity. Many high ranked professions will refuse to hire employees with visible tattoos and discriminate these individuals no matter how talented and fit for the job they are. 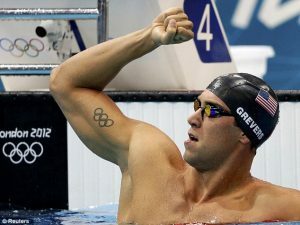 However, his has not stopped the percentage of people getting tattoos to grow. Tattoos have become more common over the past couple of decades. According to NPR News, A Harris poll in 2012 found that “1 out of every 5 adults, 21 percent, has at least one tattoo” (Greenblatt), and an earlier Pew Research Center study found that the number was closer to 40 percent among those ages 18 to 29 (Greenblatt). With the rate of “inked people” increasing, especially amongst younger generations, tattoos are beginning to be viewed differently and people with tattoos are becoming more accepted an respected. Tattoos are beginning to be recognized as more than just an unruly piece of ink on a delinquent’s skin, but today’s modern society is learning how to accept and encourage people’s meaningful pieces of artwork. How are they meaningful you may ask? Serves as a permanent memory of a special accomplishment that not many people can share pride in. 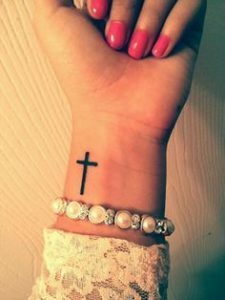 Faith is a very important aspect of many people’s lives, and getting a symbolic tattoo of that particular religion can be used to express one’s devotion and commitment to their faith. It gives them strength to hold onto it. The flowers seem like nothing but aesthetically pleasing images on her forearm, but there is much more behind them. 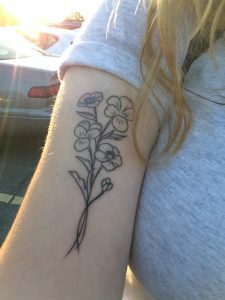 The bundle of buttercup flowers represent sticking up for yourself and being independent and able to fight against your struggles in life. The violets are for being proud of where you are from and being your own person. The point is, you may not immediately think of these meanings associated with these tattoos right away, but if you consider the person and the artwork more carefully, you will learn that tattoos are a very special piece of self-expression in our culture. You don’t have to raise your hands, but how many of you have judged someone for their tattoo choices? We have all done it; sometimes we cannot help but to judge and point fingers. So, I challenge you to refrain from judgemt and to look deeper. Tattoos are a meaningful piece of artwork, and are extremely special to each individual who decides to get one. Not only is it a civic duty to accept and respect people’s symbolic marks of ink, but we must also encourage and admire the beauty of the self-expression. Art is a part of our world, and it is used by individuals to make themselves and their values known. As famous poet Sylvia Plath says, I encourage you all to “Wear your heart on your skin in this life”, either figuratively or literally. Greenblatt, Alan. “Job Seekers Still Have To Hide Tattoos (From The Neck Up).” NPR, NPR, 21 Feb. 2014.